WASHINGTON — America’s trade deficit with the rest of the world rose to its highest level in history last year as the United States imported more goods than ever, including a record amount from China, ballooning the deficit to $891.3 billion and delivering a setback to President Donald Trump’s goal of narrowing that gap. The increase was driven by some factors outside Trump’s control, like a global economic slowdown and the relative strength of the U.S. dollar, both of which weakened overseas demand for U.S. goods. But the widening gap was also exacerbated by Trump’s $1.5 trillion tax cut, which has been largely financed by government borrowing, and the trade war he escalated last year. The trade deficit is the difference between how much a country sells to its trading partners and how much it buys. 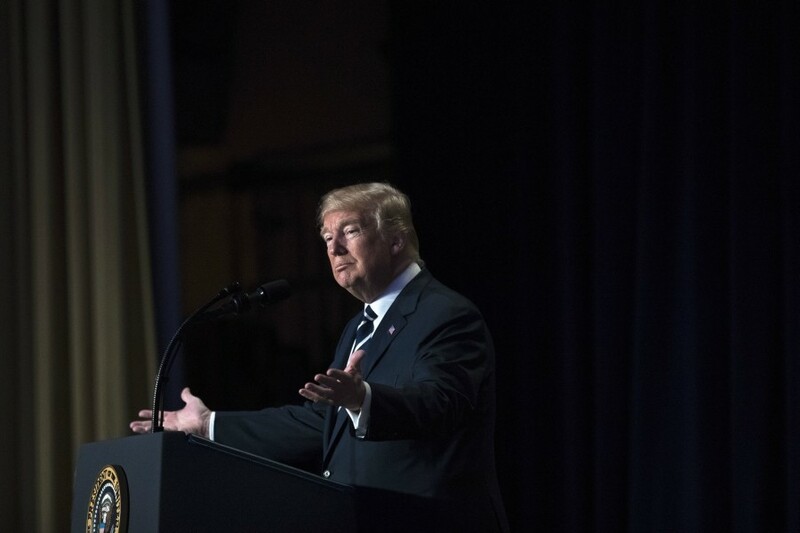 Trump has long boasted that his trade policies would reduce that gap, which he views as a measure of whether partners like China and the European Union are taking advantage of the United States, a diagnosis that few economists share. Instead, in a year when Trump imposed tariffs on steel, aluminum, washing machines, solar panels and a variety of Chinese goods, the trade deficit grew by 12.5 percent from 2017, or nearly $70 billion, the Commerce Department said Wednesday. In December, the overall goods and services deficit rose to $59.8 billion, up 19 percent from the previous month. It was the highest monthly trade deficit in a decade. The United States also imported a record amount of goods from China last year, despite Trump’s trade war with China and the imposition of tariffs on $250 billion worth of Chinese goods. The trade gap in goods between the United States and China hit $419 billion in 2018, deepening a bilateral deficit that has been a particular source of anger for Trump. The widening gap is partly the result of Trump’s trade war with Beijing, which has slowed American exports to China. Those exports declined by nearly 50 percent in December, compared to the same month a year before, as American companies were hurt by a slowdown in the Chinese economy and retaliatory measures that Beijing has leveled on U.S. goods. A stronger American dollar, which makes United States products more expensive overseas, and a weaker Chinese yuan also offset some of the impact of Trump’s tariffs.